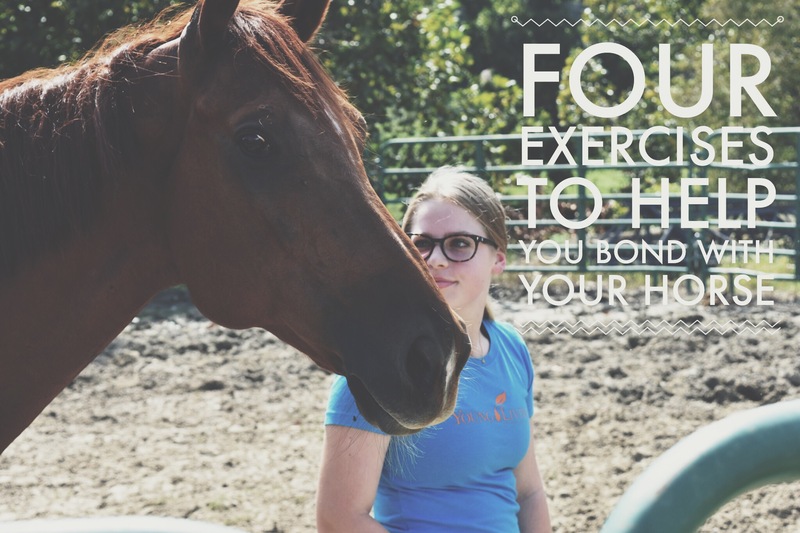 Here’s a exercises and tips that can help you bond and understand your horse more. Lunging your horse is a great way to build trust and get some energy out. When I first got Phippen I lunged him for a month before I got on. to I wanted build up trust and see how he moved from the ground. Free lunging is a great trust exercise as well because once you’re finished you can see if your horse joins up and follows you around. If your horse doesn’t follow you then send him/her back out to be lunged and try again. Horses love o be groomed and loved on, I know grooming is a great way to build trust because that’s what helped Phippen get comfortable with me petting him and putting his saddle on. Here’s a photo of him standing there for me so I can take his braids out. It’s great to feel around your horse or to watch him/her play in the pasture so you can see what your horse likes or doesn’t like. For instance if you’re touching his face and he pins his ears back he probably doesn’t like that. I think this is great for when you first get your horse because you’re trying to learn its ticks. When you own a horse you don’t want to baby it, sometimes it can make the horse feel scared or try to get away with things. When they spook instead of taking them away from it bring them back to what they spooked at until they’re okay with the object. If they bite you say no or tap their muzzle. I wouldn’t never hit any horse in the face but I do tap if they’re biting. I hope y’all enjoyed this article and it helped you with your horse. 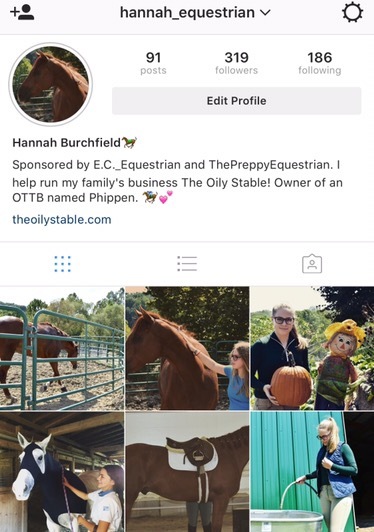 Here’s my Instagram @Hannah_equestrian and my business is @TheOilyStable.